Following on from his first UK arena tour, James Morrison has announced he will be performing a couple of 2010 concerts as part of Forestry Commission Live Music where artists perform in spectacular woodland locations around the country. 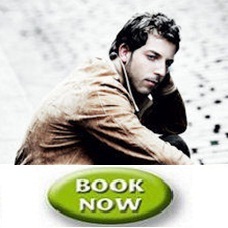 James Morrison’s debut album ‘Undiscovered’ established him as an undeniably talented singer-songwriter. It has sold over two million copies yielding no fewer than five singles – ‘You Give Me Something’, ‘Wonderful World’, ‘The Pieces Don’t Fit Anymore’, ‘Undiscovered’ and ‘One Last Chance’. James was the biggest selling British male solo artist of 2006 and Brit Award winner in the Best Male category in 2007. James’s second million plus selling album, 'Songs For You, Truths For Me' continues on the success of his first. Still in the charts over a year since its release it includes the hit singles ‘You Make It Real’, 'Please Don't Stop The Rain' and 'Broken Strings' featuring Nelly Furtado. Forestry Commission Live Music provides valuable revenue that is reinvested in a variety of Forestry Commission environmental and social projects across the country.